As a control systems integrator focusing on the conveyor handling segment, every Pendant project requires a cost-effective field device count. In today’s post, we share some thoughts with you about how to get it right. Photo eyes, either reflective or through-beam, used for a number of reasons, including jam detection, lane full identification, gapping and accumulation, and other uses. Jam reset stations for restarting the conveyor after a jam is cleared. Start/stop stations for stopping or restarting the conveyor. Scan stations for reading package and tote labels and diverting them properly. Beacons for signaling jams, full lanes, and emergency stops. Audible horns for signaling a restart of the conveyor. Emergency stop equipment including pushbuttons and pull cords. Other devices like limit switches, solenoids, contactors, and air pressure switches. During the quoting and design phases of a project, Pendant creates layouts (typically hand-drawn for quoting) of the field devices used to control the conveyor handling system according to the customer’s desired operations. We recommend that you provide at least a conveyor layout drawing and a conveyor BOM with a listing of the motors for the most accurate quote from us. Your choices about which devices and how many devices to use (or not use) and their placement have a significant effect on project cost. Specifying too many devices obviously wastes money, but specifying too few leads to operational costs that are too high. Underspecifying safety-related devices like pullcords, despite their added cost, creates safety hazards for workers. Each integrator with whom we work has their own personality. Some provide a lot of input on field devices and some leave it entirely to Pendant. A joint visual review of the conveyor layout during the quoting phase leads to better outcomes. The review gives Pendant a clear understanding of what you and your client are trying to achieve, and Pendant has the experience to advise you and recommend the solution that works best, both operationally and from a cost standpoint. Field devices are integral to the proper functioning of the system. Something as simple as a slightly misaligned photo eye, for example, can create a lot of headaches for the operators. Make sure your operations and maintenance people understand how the system is supposed to work so you can avoid unnecessary downtime. Pendant provides a clear and specific field device count in every quote. You should always be sure that you know what you are paying for. 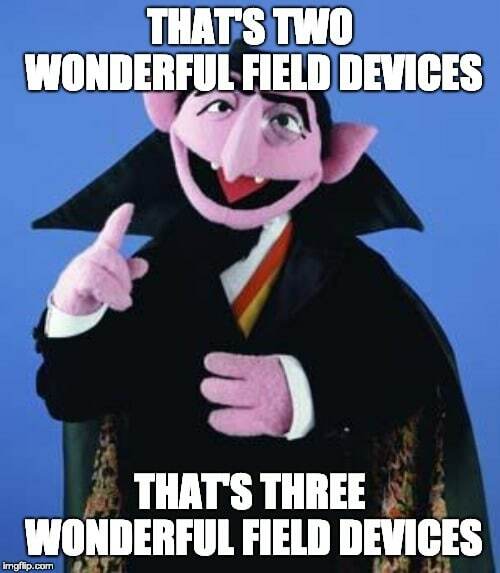 Your selection of field devices can mean the difference between a good project and a great project. So why not do it right? Count me in, here’s my RFQ!